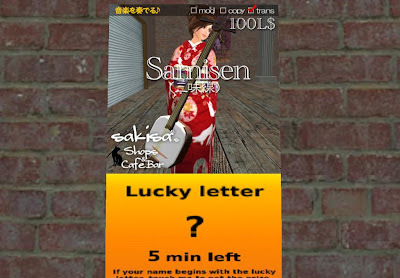 New lucky board at Sakisa for a Samisen by the entrance. Board changes every 5 mins with wildcards. It's also trans so makes a nice gift. Goodluck.